Is Colombia's renewed ban on marijuana possession even constitutional? Is Colombia’s renewed ban on marijuana possession even constitutional? The former president of Colombia’s Constitutional Court Alfredo Beltran said the new law could be an unconstitutional attack on personal freedom. 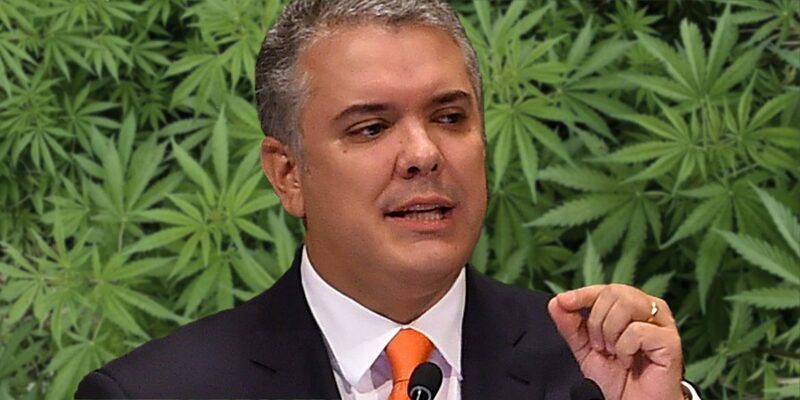 Duque signed a presidential decree on Monday which reversed Colombia’s drug laws in regards to drug possession of his predecessor Juan Manuel Santos. Until Sunday, citizens were legally allowed to carry 20 grams of cannabis or one gram of cocaine for personal use. But the new decree gave police the power to confiscate small amounts of drugs in what the government’s says is an effort to combat organized crime, particularly drug dealing. The court in 2012 approved a government proposal to decriminalize the possession of small amounts of cocaine and marijuana for personal use. Duque – who took office in August – made it one of his campaign promises to reverse the law on the possession of drugs. His pledge has come under attack from those who believe it will do nothing to combat the country’s problem with drug dealing and drug abuse, will be a waste of money and police time and hasn’t gone through the obligatory legislative procedures. We consider that the measure is inefficient and expensive, it does not contribute to advance the solution of the drug problem and, on the contrary, it promotes discrimination and stigmatization of people who use them. Despite labeling himself an “extreme centrist”, Duque’s plan is in line with the ideology of his hard-right Democratic Center, and that of his patron, ex-president Alvaro Uribe. Both Uribe and other members of the Democratic Center have said casual drug users should be treated as criminals and face severe penalties for possession.